It's one thing enjoying what you do in the kitchen with regards to preparing and cooking great meals. Turning that process into a more scientific procedure where you have to count calories and measure portions to ensure that what you are going to serve up is not going to be making the diners gain weight is another! That's why its always a good idea to work on making a change of diet every so often to keep things interesting while providing the people you are cooking for a healthy way of eating that they can still enjoy. In fact, part of the trick to getting the balance just right is in creating meals that are healthy, as natural as possible, low in calories while being high in nutrition and still not looking or tasting like they are designed as a diet of any kind. It's not always as easy as you think, especially if you are used to creating great sauces to compliment your meals. Unless those sauces are almost ingredient free, they are going to load up on the calories! But it is doable when you substitute the ingredients that are loaded with fats, sugars and calories such as cream for healthier alternatives with tons of flavor such as spices and fresh herbs. Creamy sauces are totally tasty and tough to give up, but give up on them you must if you want to provide your family with healthier meals. using just flour or mustard powder as thickening agents for sauces works pretty well and you can improve the flavor by adding simple things like peppercorns and fresh herbs like flat leaf parsley, basil or thyme. The trick to cooking healthy meals is all about getting the balance of the food just right to making a great meal that is still healthy and won't cause any weight gain in the folks you are cooking for. It's worth going for if you can, because you may just get an even bigger vote of thanks for your creativity! What is Diet Food Delivery? Some people are quite content to spend some time in the kitchen after they get home from work to prepare a great home cooked meal for themselves and their family. Others have the luxury of not having to go to work at all and be a full time mom and housewife. Although in these days of economic uncertainty, many moms are working too. So what do you do if you need to get slim or just eat to stop gaining weight when you suddenly find you don't have the time to be in the kitchen after work anymore, say if you got a promotion at work that meant a longer day? If you have ever heard of a dieting option called diet food delivery, then you'll probably know something about the way it works. You can get these programs from companies like Jenny Craig, eDiets or Nutrisystem and they work by shipping all your meals, ready prepared and pre-cooked to your home. It means you get to eat a low calorie diet without the hassle of doing anything yourself to create it. The great thing about this way of dieting is that it means there's no cooking for you to have to do! It's a real time and labor saving way to eat relatively healthily while losing some weight at the same time without spending any real time in the kitchen. This is great if you lead a fairly busy schedule every day and can be a real life saver if you simply do not have the time or the energy to prepare and cook a real home cooked meal every evening when you come home from work. But don't expect your family to join you in enthusing about this super convenient way of dieting. Chances are they are not interested in joining you in your campaign to become slimmer and would rather eat a pizza than be force fed a ready-to-eat meal, especially if they have grown accustomed to eating really great home cooked meals that you would normally prepare for them. If there's one thing that can really go a long way to helping you lose weight through what you cook in your kitchen, it's being able to create a healthy, low calorie menu of meals that you can stick to. When you do this for yourself, its a lot easier to keep going because all the motivation comes from you and your love of what you can do in the kitchen. You can get started by learning all you need to know about nutrition and go on from there. It's quite amazing how much you can learn thanks to the Internet and if you can't get whet you need from there, you can always take a trip to your local library! It's only natural that you should realize that the best cooking tips bring success. This is especially so when you are working on your diet plan for your own benefit. It's that personal feeling of satisfaction that works its magic in making everything seem to be that much better than if you had to rely on someone else to do all your meals for you. At the end of the day, it's what you think of what you are creating for you to eat that matters. Other people can poke their nose in to what you are doing and they may find fault with your methods of cooking and eating. Or you'll get those people that make comments that are or are not helpful. Whatever anyone else says is of little importance if what you are doing for yourself is working for you, because it is you that is doing it for you! 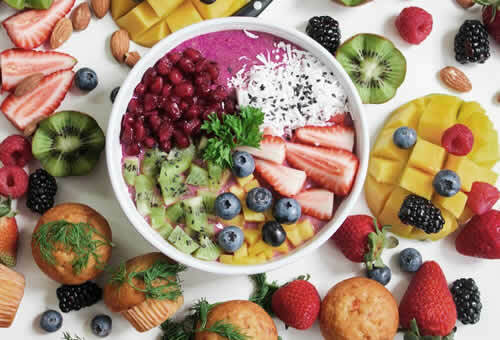 If you have ever been faced with the problem of preparing a special diet for yourself or for someone in your family, you will understand the many problems that crop up when it comes to getting the right measurements of the available ingredients. Portion sizes, weighing, measuring, getting it right, you know the drill! If you have to stick to a calorie limit, how do you know what size portions to include in any recipe. That's because this figure will differ for the many different types of foods. One answer is to get some good quality digital kitchen scales that can tell you. You can get the highly acclaimed Kitrics Digital Nutrition Scale for this purpose and suddenly find that all the headaches you ever encountered in the kitchen when it came to figuring out nutritional values of foods have evaporated in one fell swoop. This amazing scale does it all for you. It not only weighs the portions of foods you are going to include in a recipe. but it also tells you a ton a nutritional info as well. You can put on a few ounces of, say carrots and get a readout of not only how many calories are in there, but also its makeup of carbohydrates, proteins, fat and other things like sodium, sugar etc. This is an amazing way to be sure that the meal you are preparing meets the exact requirements of any diet sheet! You can cope with any kitchen cookware and tools and any new addition to a diet too. You can't really go wrong because you get the precise data depending on how much you put on the scale. So if you decide that three ounces of carrots is too much and take off an ounce, the readout will change to give you the precise nutritional details of the new weight. Now is that amazing or is that amazing? It's certainly a real time and effort saving device to have in your kitchen and one that you will use a heck of a lot, I'm sure! Whatever you get up to in the kitchen when it comes to preparing and cooking great meals for you and your family or friends, it still pays dividends to make sure that you keep one eye on the health side of what you are putting together. You can use all the tricks you know to make great tasting meals that have a really potent side effect in that they will help the people eating them to avoid gaining any weight and even to lose some if they need to. Of course if you are just cooking for yourself, then you really can pull out all the stops to orient your meals onto keeping yourself slim and trim as well as healthy and happy! If you are in need of losing a few pounds, then this is the perfect opportunity to use all of your culinary skills to create your own dietary masterpiece. When it comes to making full use of some really powerful cooking tips that work, then you can steel yourself for some nice success down the road and not too far either! It all depends on what it is that you intend to do with what you have. You can get all kinds of great fresh ingredients to make up some truly amazing meals that are also low in calories and high in all the good things that your body needs to be healthy. The best part is that you can do it without using any of the many additives that commercial food products contain these days and still be cooking really healthy meals. Is that not the perfect reason to boost your nutritional knowledge as well as your prowess in the kitchen for yourself?